• Microsoft Windows 2000 - 10 Workstation or Microsoft Windows 2000 - 2019 Server (x32/x64). • IE 6.0, FF 2.0, Safari 3.0, Chrome, Opera 9.0 or higher. • Intel Pentium III 1 GHz, 512 MB of RAM, about 100 MB free disk space. 1. Login with administrative rights. 2. Run Setup (OP44x32.exe or OP44x64.exe). 3. Read the Welcome screen, and click Next. Next, read the License Agreement and click I accept the terms in the license agreement, and then click Next. 4. Choose the program directory. Click Next. During Express Install, many of the options presented on the dialogue boxes are selected for you, resulting in a faster installation process. 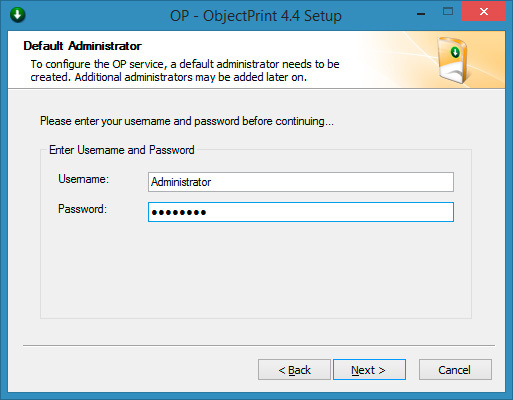 If you choose the 'Express Install' method, the OP administrator login is <your login name> and the password is blank. Custom Install. Select Mode type. Custom Install. 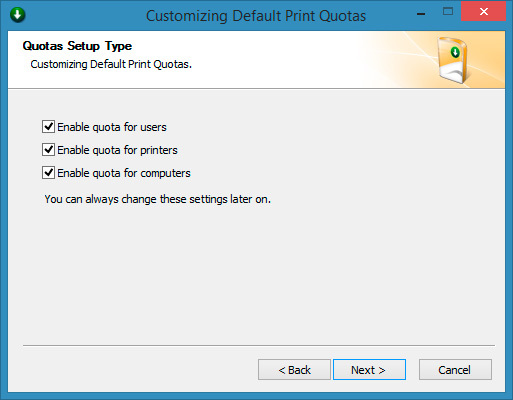 Setup Print Quotas. Custom Install. Configure Username and Password. OP administrator login is <your login name> and password is blank. Custom Install. 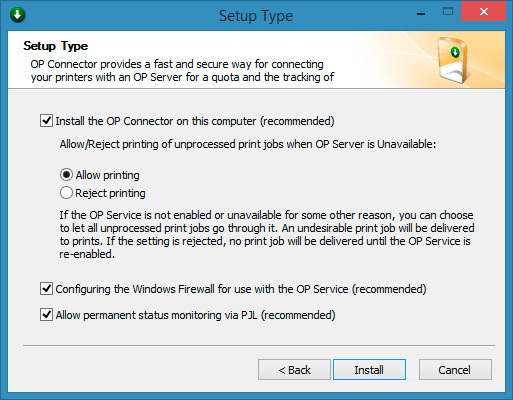 If you wish to enable OP Connector for this computer, check 'Install OP Connector'. Custom Install. Selecting Database Creation. 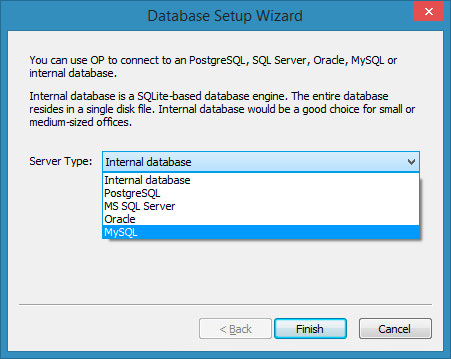 You can choose to use the embedded database supplied with your OP installation or else to connect to an external database. 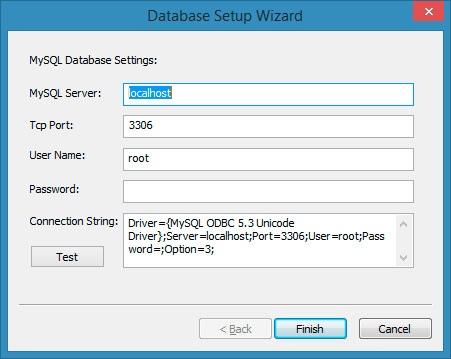 Note that the internal database works with a local database file (C:\Program Files\Fitosoft\OP4\Log\OP4.s3db). 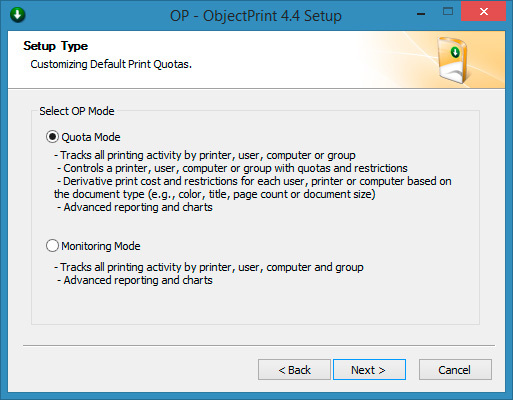 When OP starts for the first time, the Configuration Wizard will offer to configure the main settings of groups, users, printers and computers. 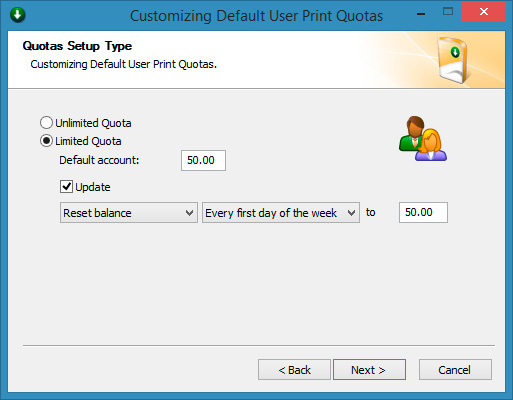 Please note: it is possible to skip the installation of groups, printers, computers and users – they will be automatically added later with the default settings. They can also be added via the menu of the OP program. 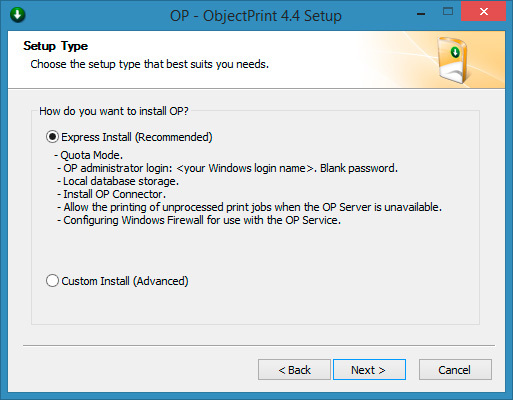 Open Add/Remove Programs and select OP. Click on the Remove button or click the Start button and select "All Programs"->"OP"->"Uninstall".